Simon Holman was born in the village of Burscough, West Lancashire, just in time to avoid being a child of the seventies. He has spent the last thirty years cautiously travelling south, first working for Ocean Youth Trust South as bosun for four years, then as a civilian member of a British Army expedition to the Antarctic. Finally, he made it to university in 2002 and spent the next three years studying for a BSc in Yacht Manufacturing and Surveying at Southampton Institute while continuously listening to obscure Pink Floyd tracks, much to Cat’s dismay. On graduating, Si and Cat moved to Portscatho full time and Simon started work at Falmouth Marine School as a CAD and boat building lecturer. Simon began to take on freelance marine design projects alongside his teaching commitments, working with companies such as Rowtec and Fibrefusion as well as individuals. He likes looking at boats, drawing boats, taking pictures of boats, mending boats and driving boats. He can handle the cold, achieve anything with the right amount of coffee, and refuses to swim on ethical grounds. Simon is the one on the right. Cat Holman grew up in a beautiful small village in North Dorset obsessively reading sailing magazines while longing for summer holidays in Portscatho and the sea. It was therefore a logical step to study Spanish and Italian in the most landlocked city in Britain. Having previously met on John Laing during a sailing trip in 1999, Simon and Cat finally got together at the end of Cat’s first year at Cambridge. She spent the next few years fishing Simon out of the Cam and grudgingly acquiescing to the charms of A Saucerful of Secrets. After graduating, Cat worked in a variety of jobs from wine tasting to wheelchair offroading before becoming self-employed as a Spanish tutor and translator while completing her MA in Creative Writing. She is a firm believer in Dolly Parton, talking faster to get more done, and has a lifelong fear of needles and threads. Cat is the one on the left. 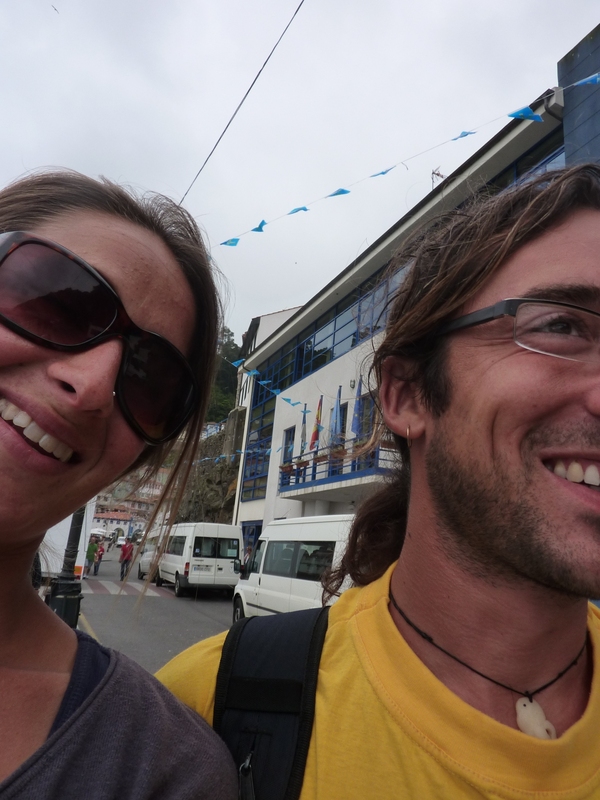 In September 2009, Cat and Simon set off on a two-year voyage on their gaff cutter Planet. You can read about their trip here. What an interesting project, will be following!